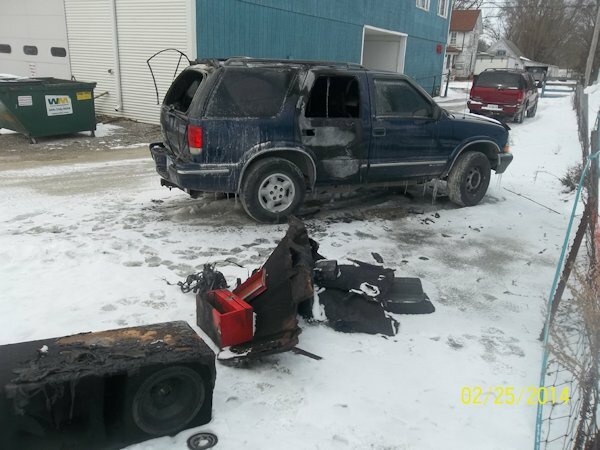 Five businesses were broken into in La Harpe sometime Monday evening between the hours of 8:30 and 11:00 p.m. and involved some property damage, stolen items, and in one case, a vehicle on fire. 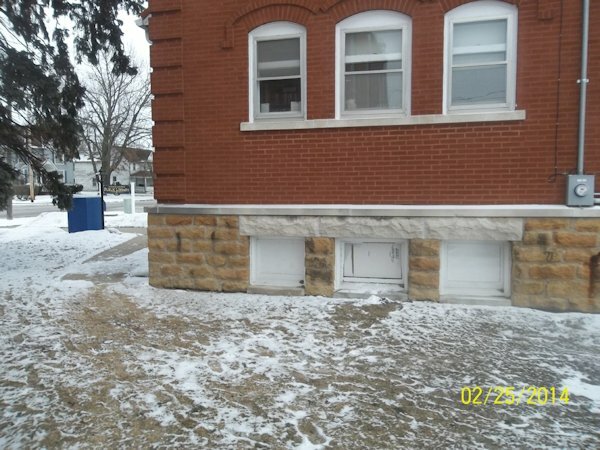 In talking to our sources, it was reported by Monica Carpenter, Librarian of the La Harpe Carnegie Library, that a broken basement window was found on the west side of the building, apparently shattered by a golf club which allowed the thief entrance. They came upstairs and ransacked drawers, scattering cash on the floor and took around $30 worth of bills, Carpenter said. Jerry Burford, owner and operator of Gasoline Alley, reported that a motor home being stored at his place had a door window that had been broken out and the door was left open. 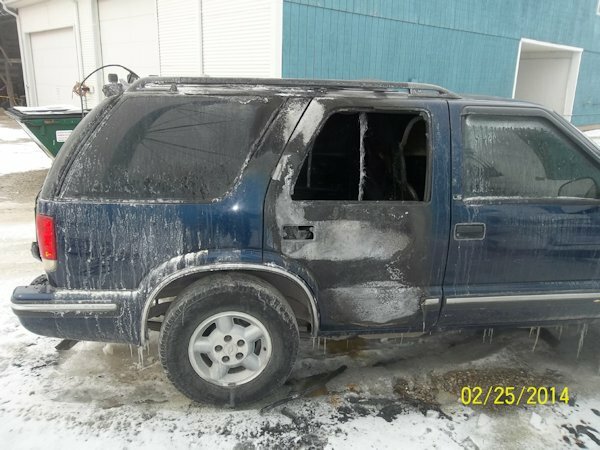 Also, a blue SUV that had been left for Burford to work on had been broken into and a radio stolen out of it. The car was on fire when firemen responded to extinguish the fire at 11:30 p.m.
Another car had been ransacked and papers tossed about which belonged to Edna Collin's, a customer of Burford's. Monica Crim's La Harpe Family Rural Health Clinic was broken into gaining access through patio sliding doors that apparently was pried open with a hammer that had been stolen from Burford's as the hammer was left there. At the clinic, access was gained to Wear Drug's and some SUDAFED¨ used to treat nasal and sinus congestion, was noticed missing. The Union Church was broken into before it had snowed that evening as well. Access was made through the furnace room and the wooden doors in the basement. The culprits took 3 first-aid kits and spread them on a table taking what they wanted, took a coffee can of Awanas money from Sunday night's Awanas meeting out of an office-"no more than $40 worth." No other damage was reported in the church. Both Jerry Burford of Gasoline Alley (a local car repair shop), and Monica Carpenter, of the La Harpe Carnegie Library reported they had a visitor during the day that was a stranger in town. He sported a mustach and wore sweat pants Burford said and was inquiring about buying the SUV that had come in for repair. He was driving an older brown or slate colored Jeep station wagon. At the library, Carpenter said a stranger came in and was very quiet and sat with a computer for awhile and then left without making any inquires. Breakins have occured in Carthage and police are investigating there, too, according to reports.